Collecting and responding to customer feedback is critical for any growing business. It’s a great way to make sure you’re spending time and money on improvements that will help turn your existing customers into loyal brand advocates for life. Ignoring or failing to collect feedback is like flying a plane at night without instruments: you hope you’re headed in the right direction, but you can’t really be sure. With access to timely customer feedback, however, you can make sure your business is always oriented towards your long-term destination. So, how do you collect the most relevant feedback from your customers? Most companies use traditional channels like email, review websites, forums, web-based support portals, and surveys. But, as you know, consumer preferences and habits are shifting away from traditional channels to newer ones like social media and mobile messaging. So your feedback collection strategy should reflect this evolution. For example, younger customers might prefer alternative methods of communication like SMS (text messaging), live chat, or mobile messaging services (like WhatsApp). In fact, a Software Advice study showed that millennials prefer live chat above all other customer support channels for its speed and convenience. It, therefore, stands to reason that if you only use traditional customer feedback channels, you’re likely missing a significant segment of your customer base. So to help you broaden your feedback funnel and boost customer satisfaction, 5 uncommon customer feedback channels you can start using today have been summarized. According to the American Express 2017 Customer Service Barometer, Americans (on average) tell 15 people about a poor service experience, but only tell 11 people about a good experience. It’s easy to see how this effect could be amplified on social media. An upset customer might post a message that reaches 15 friends, who in turn repost the message to their followers, kicking off a potentially viral process. Which is why it’s always a good idea to conduct frequent searches for your brand name, your competitors, and any keywords that describe your business to keep track of what people are saying. But it’s not enough to know what’s going on. You should also respond to positive and negative feedback and do your best to resolve issues in a calm, respectful manner – this is critical because your responses will be viewed by many other people who might be considering your products/services. Some companies also use social media to initiate discussions and ask specific questions. Take Elon Musk for example. Say what you will about his use of Twitter in general, but he does a great job using the social network to get feedback from Tesla customers. The link below shows a conversation between Musk and a customer about a particular problem with getting vehicles serviced. Elon Musk discussing supply chain issues in the UK. See the full conversation here. Some companies choose to ignore negative comments from people on Twitter. Perhaps they think that by ignoring the problem, it will just go away. But this could be a missed opportunity to demonstrate that your company really cares about great customer service. You can catch most important comments just by frequently logging into your social media accounts. But you can also use social media monitoring tools to help. Text messages are often used for timely, location-specific promotions. But they also work great for gathering feedback. One reason to send text messages to customers is their high view rate: 90% of text messages are viewed within three minutes of receiving them, and the average response rate is ~30%. It’s also a great way to re-engage existing customers and boost the odds that they’ll turn into repeat customers. After all, the odds of selling to a new prospect are as low as 5%, while the odds of selling to an existing customer can be as high as 70%. Just be careful not to send long messages via text. Ideally, you would send each customer one or two questions they can respond to directly with a short text message. You could also include a link to a more in-depth (mobile-friendly) survey. Finally, make sure your customers opt-in to receiving text messages from your company, and only text during normal business hours to avoid waking up your customers or interrupting something important like a family meal. There are many services available that let you send bulk text messages and initiate a two-way conversation with customers. A well-planned usability test can lead to more insights than any other customer feedback method. It could help you uncover problems or opportunities for improvement that you (or your customers) didn’t even know existed. The objective of a usability test is making sure customers enjoy a frictionless experience from signing up to making use of basic and advanced features. According to Salesforce data, 74% of people are likely to leave your website and go to a competitor’s if they find the purchasing process too hard. Some of the most innovative companies in the world are constantly running usability tests. For example, Google develops new products using a rapid iteration strategy informed by frequent user feedback. They assign so much importance to these tests that they even reward users for participating. Usability tests are not only for web-based products. Almost any business could run one. If you run a subscription-based business like a gym or a spa, for example, you could offer a free membership/subscription to customers in exchange for participating in live feedback sessions to share their experience with your products or services. You can learn more about getting started with usability testing by reading Rocket Surgery Made Easy by Steve Krug. Then, if you’re ready to run a test, try a service like UserTesting.com to have your web-based product tested by real people who’ve never used it before. An alternative is Amazon’s Mechanical Turk. According to the American Express 2017 Customer Service Barometer, more than 6 out of 10 U.S. consumers say that their go-to channel for simple inquiries is a digital self-serve tool (like a website, mobile app, or online chat). It’s 2018: Your customers need an easy way to contact your company and receive prompt feedback. A support email address or phone number won’t cut it anymore. 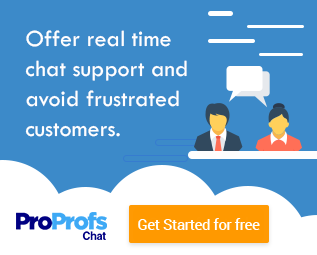 Live chat software (like ProProfs Chat) can be added to any website with just a few lines of code. This tool will turn your website into a customer support center, where any user browsing your site can send you a question and get a quick response from a real company representative, thus helping you improve customer service. But since people don’t always let on whether they’re happy to upset in 1-on-1 conversations, it’s good practice to pair live chat with a post-chat survey form. This will give your users a chance to provide honest feedback, plus help you understand how delightful customer service was using live chat. Be sure to follow these best practices when using a live chat service for real-time customer feedback. User browsing data is an invaluable (and unbiased) source of information. It’s also free – you can access most data you’ll ever need using Google Analytics. Analyzing on-site activity can also help you find customer segments that are underserved by your feedback channels. Here’s an example: If you have an FAQ or a help/support portal, go into Google Analytics and look at indicators like ‘bounce rate’ and ‘average time on page’ to gauge whether customers are finding your content valuable. If you see that users are on average spending just a few seconds in your FAQ section before leaving the page, it could be a sign that your content isn’t helpful. In that case, it would be a good idea to develop more relevant content. On the other hand, if you notice that users spend a long time browsing your FAQ pages, it could be a sign that your content is too confusing! It’s important to avoid jumping to conclusions based on data alone. It’s always a good idea to test your hypotheses using qualitative feedback channels like surveys and others listed in this post. 96% of unhappy customers don’t complain, however, 91% of those will simply leave and never come back – 1st Financial Training Services. Most customers won’t reach out to you to let you know how they’re feeling. You have to be proactive and ask. With the channels mentioned in this article, you now have all the information you need to start collecting (and acting on) more customer feedback. So what are you waiting for!? Pick a channel and start experimenting to learn something new about your customers. 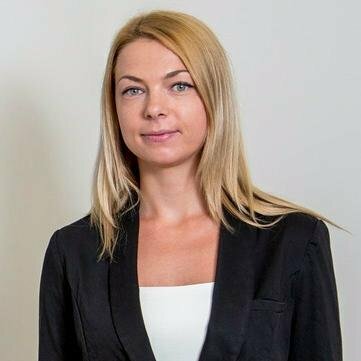 Alexa Lemzy is the customer support expert and blog editor at TextMagic, a business text-messaging service for sending bulk notifications, alerts, reminders, confirmations and SMS marketing campaigns. Previous Why Help Desk Software Is Important For Businesses?